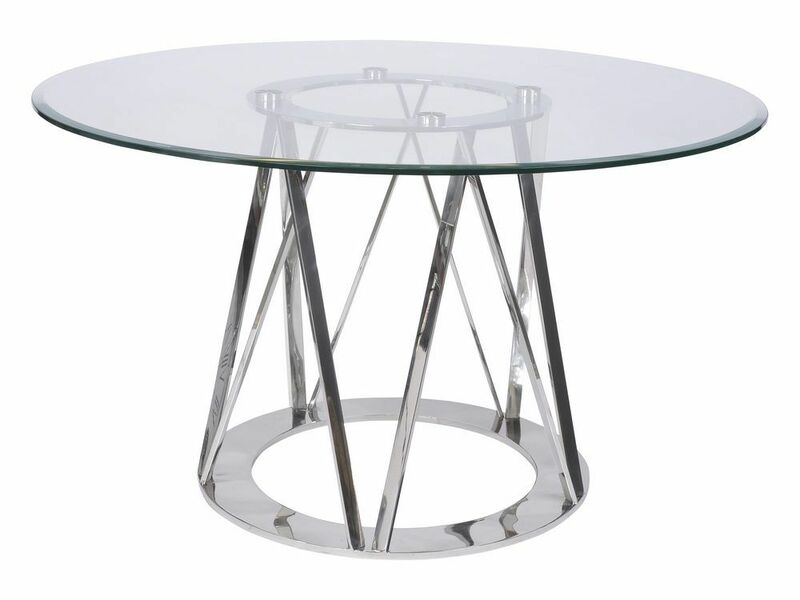 Simple yet very stylish, this contemporary glass and metal dining table brings a fresh, clean finish to eating areas. With bars arranged in a cage-like design, the polished stainless steel frame echoes the roundness of the top and adds a modern twist, tying the look together to give a cool metallic feel. Smart and sleek, this glass dining table seats four and will reflect light to visually expand rooms when not in use.